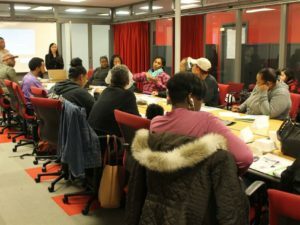 The City of Chicago Department of Business Affairs & Consumer Protection (BACP) offers FREEbusiness education workshops every Wednesday and Friday at City Hall. To operate a successful business in Chicago you need to know what it takes to maintain compliance. Officials from several City departments will provide insight on how to operate safely, stay compliant, help prepare for inspections and highlight the do’s and don’ts of operating a business. Attendees will learn the 3 steps to obtain a business license and access free business resources to start or expand their business. Presented by Noah Frank, Labor & Employment Attorney in SmithAmundsen’s Chicago Office. The U.S. and Illinois Departments of Labor are increasingly scrutinizing companies to make sure their employee pay procedures and policies are compliant with federal, state, and local laws. Indeed, after years in the making, on March 7, 2019, the U.S. DOL announced its new proposed “Final Rule” for salary exempt employees. Join attorney Noah A. Frank of SmithAmundsen for an engaging, fast-paced discussion on properly classifying employees as exempt vs. non-exempt, making valid wage deductions and reimbursements, and more to stay compliant! 4/12 Building a Compelling Brand Marketing Strategy! Three experienced media professionals will teach the do’s and don’ts of how to write an outstanding press release that will attract media attention – and increase the chances of getting coverage. Also, learn what to do with a press release once it’s written. If you have a press release you would like critiqued, bring it! Speakers: Journalists David Steinkraus and Jeff Steele, and Advertising/Marketing specialist Laura Stigler of Shebang! Creative Content-2-Consulting. All workshops are free and are located in City Hall, 121 N. LaSalle St., Chicago. To register for a workshop e-mail BACPoutreach@cityofchicago.org or call 312.744.2086.